With a welcoming country atmosphere Ashbury has been carefully planned to celebrate the very best of its wonderful Armstrong Creek location. 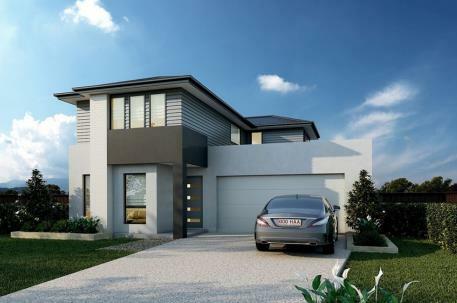 Designed to maximise the very best of its prized Armstrong Creek location, Ashbury is a master planned 107ha community that will feature 1400 lots and be home to around 4000 people. A total of 30 hectares has been set aside as open space and conservation areas throughout the estate, including a healthy 16.5 hectares for tree retention, conservation and growth promoting an established look and feel throughout the community. Close to everything and away from it all, Ashbury features a range of onsite amenity including a proposed State Primary School, a planned Community Activity Complex will incorporate a kindergarten, childcare, maternal and child health services and meeting rooms. Ashbury’s local neighbourhood shops will also be within walking distance. Ashbury adjoins the future Armstrong Creek Town Centre that will be approximately the same size as the Geelong CBD and have all amenities a new city needs. So everything will be a short walk away. Living an easy 10 minute drive from the thriving waterfront city of Geelong, and with good transport links by both road and rail to Melbourne, you have all the conveniences you’d expect to find with city living, in a beautiful country setting. When it comes to retail, whether you prefer boutique shopping or major retail centres, you’’ be spoilt for choice with the range of shopping locations to select from. It’s easy to lead an active lifestyle and feel connected to nature with the variety of sporting and recreation facilities, golf courses, parks and reserves, all within easy reach of Ashbury Estate. With the Victorian Surf Coast on your doorstep, you also have some of the best beaches within easy reach, including world-renowned Bells Beach in Torquay and the highly-acclaimed beaches of Barwon Heads and Ocean Grove. To reserve this property: •	Provide EOI and $1,000 initial deposit receipt (this is too be paid into the solicitors trust account) – we then notify developer to take lot off the market •	REIF prepares contracts and express posts to agent/buyer solicitor/buyer •	Standard contract conditions: 28 days finance, 10% balance deposit paid at finance approval, 14 day settlement •	Buyer signed contracts to be posted back for vendor execution •	We send you the duly executed contracts and the 28 days finance commences Purchase to invest or occupy!